Mburo Safari Lodge boasts of its excellent accommodations which comprises the main Lodge, cottages and honeymoon house all raised on a wooden platform and covered by a grass-thatched roof, perfectly blending with the natural environment, stylishly and thoughtfully designed for your absolute comfort, convenience, and pleasure. 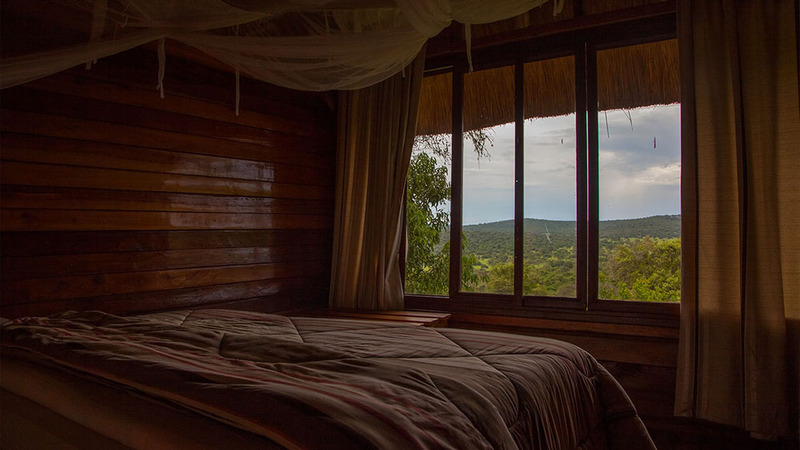 Each is equipped with clean private bathrooms with hot showers and toilets, private balconies, handcrafted wooden furniture, comfortable king-sized beds, mosquito nets and wardrobes all opening out to their private balconies. Some cottages have a full kitchen. All rooms are privately situated, making it an ideal place to relax and enjoy the natural beauty that surrounds you. 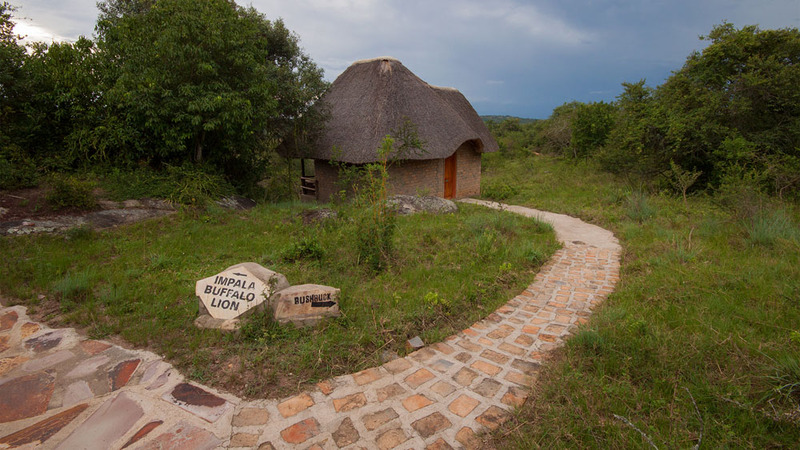 Our 10 luxury and spacious cottages (suites) have furniture in distinctive African style and luxurious bathrooms with hot water and a flushing toilet. 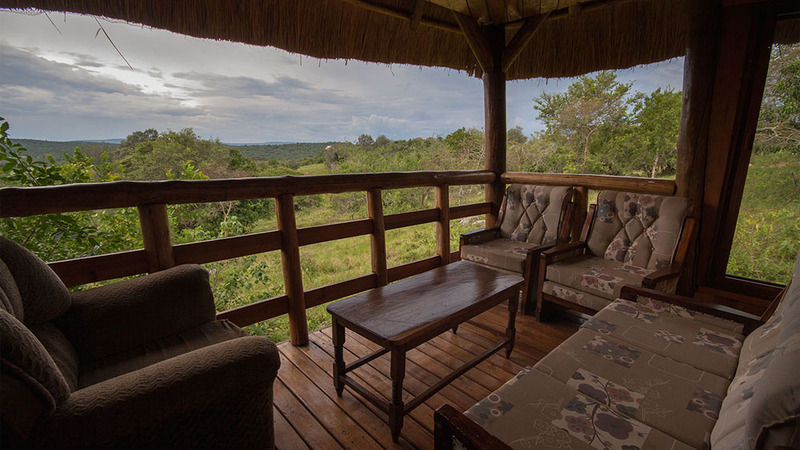 Each cottage has it’s private balcony where you can sit and enjoy the scenery. Comfortable king-sized beds with mosquito nets will make sure you have a perfect night. 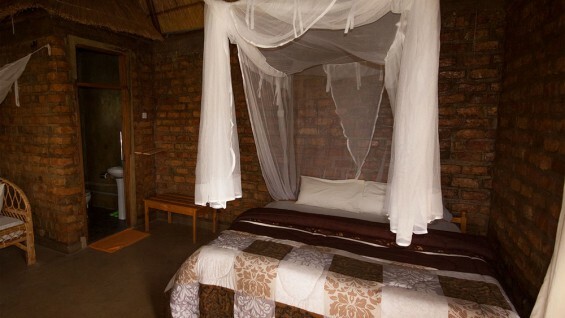 The cottages can be booked with twin beds or a double bed and a third bed is possible. 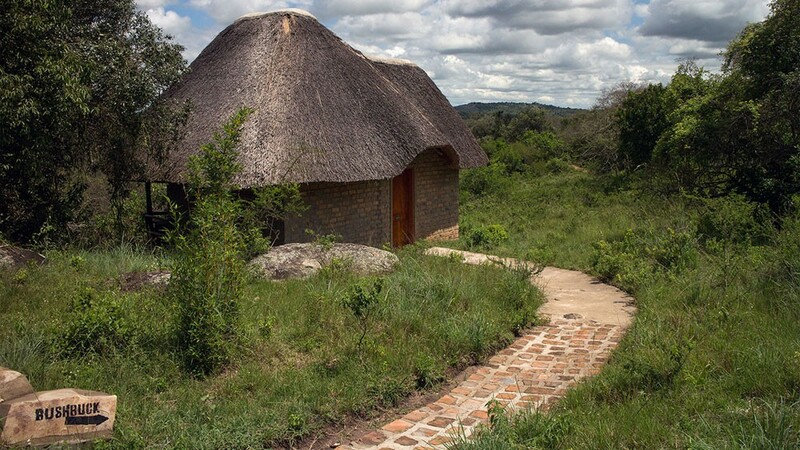 Our Luxurious Honeymoon Cottage is a romantic hideaway with greater privacy and space perfect for that extra special treat. The Honeymoon Cottage has furniture in distinctive African style and a luxurious bathroom with showers with hot water and a flushing toilet. It has a large private balcony where you can sit and enjoy the scenery. 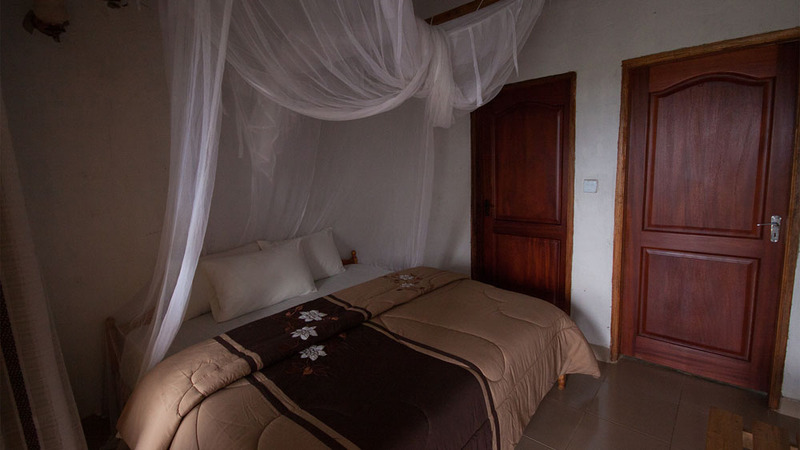 The comfortable king-sized double bed with mosquito net will make sure you have a perfect night. 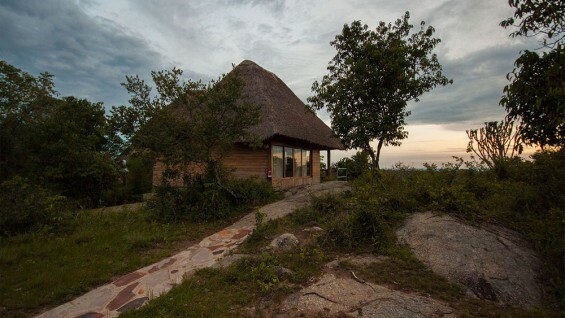 The unique placement of this cottage creates the most amazing honeymoon experience during your special time. A truly Romantic Experience! 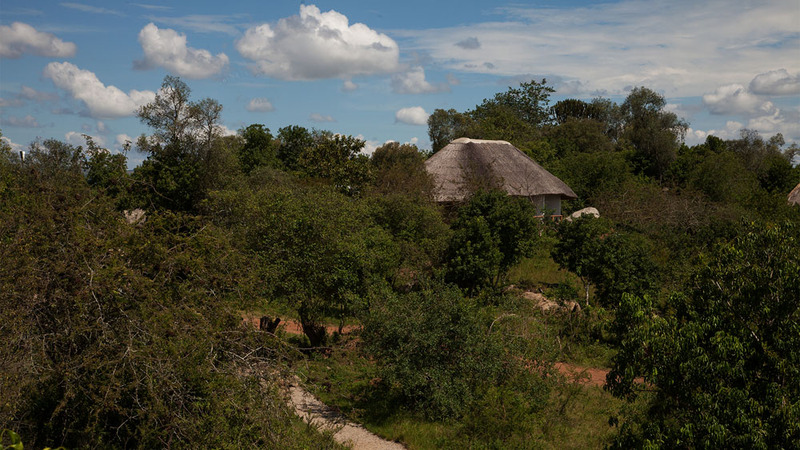 Our 2 luxury and spacious family cottages are very near the restaurant and ideal for people with children. 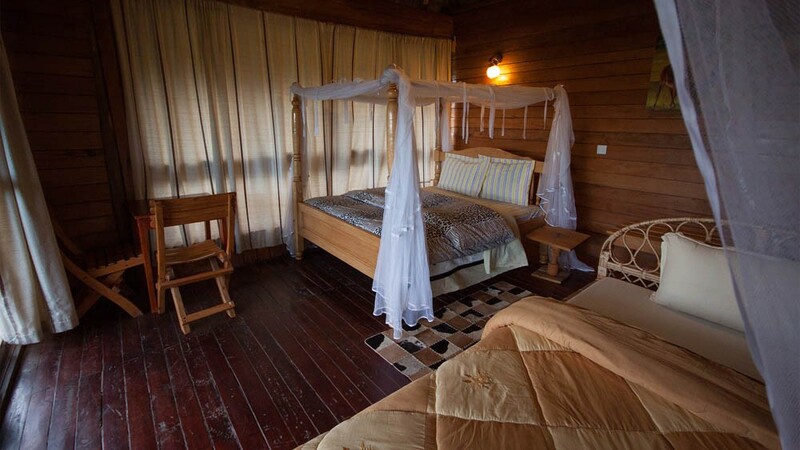 The family cottages have 2 bedrooms for optimal privacy and can be booked up to 5 persons. 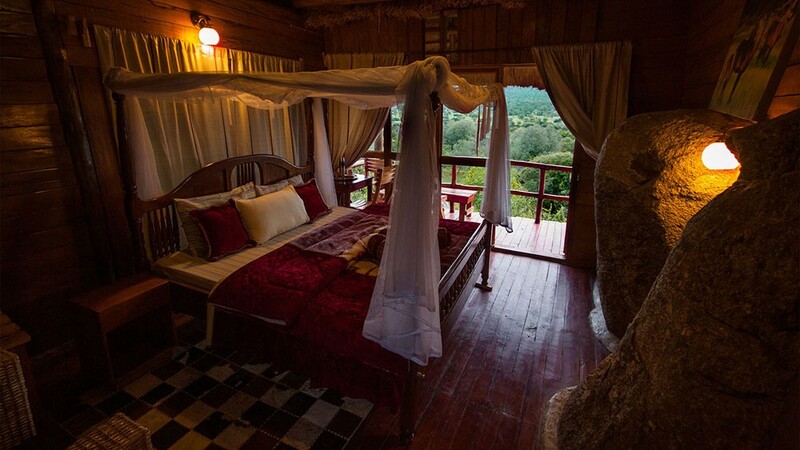 Each bedroom has it’s own private balcony with splendid view. The family cottage has 2 bathrooms with hot water for showering and a flushing toilet. 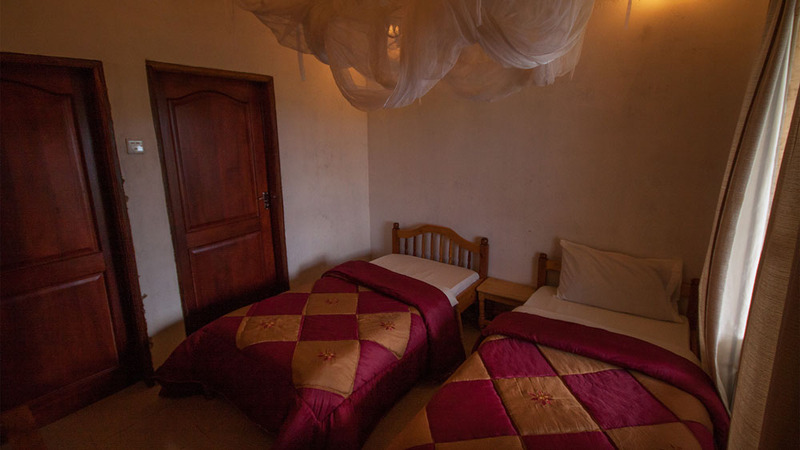 Comfortable king-sized beds with mosquito nets will make sure you have a perfect night. In the Family Cottage the parents have their children nearby in combination with some privacy. 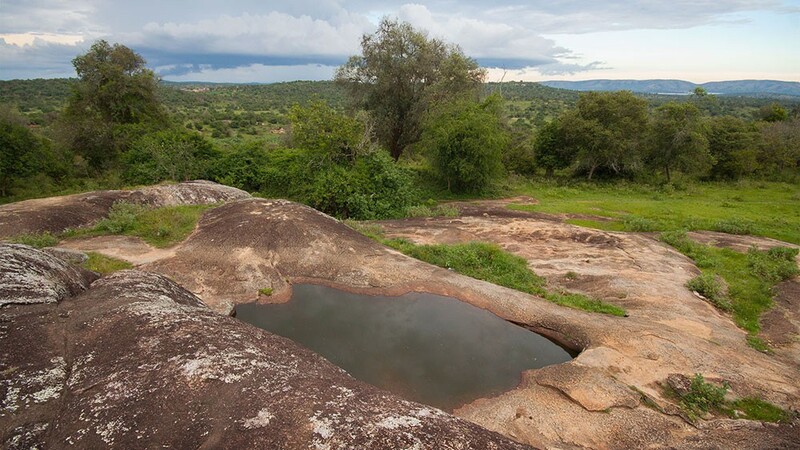 For people who want to be close to nature our bush camping is the best option. 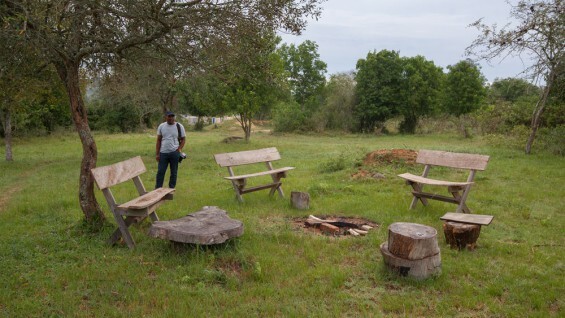 The campground is well located and equipped with flushing toilets , showers and electricity. 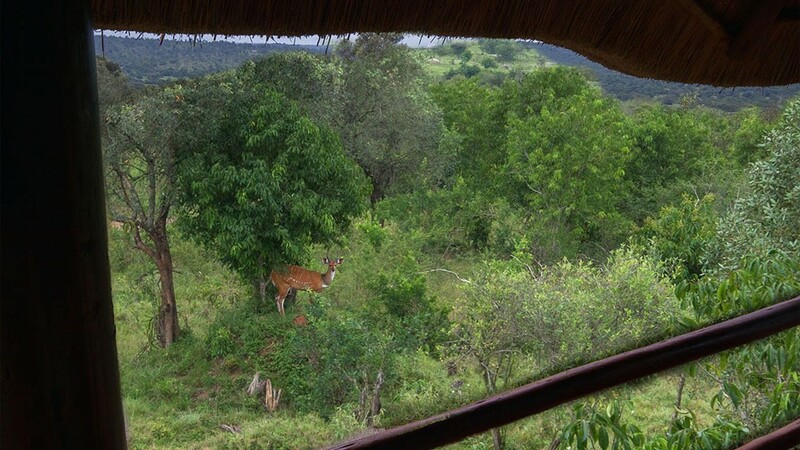 Clients can chose to use their own tents or we can provide good safari tents. Campers can cook for themselves or eat in the restaurant. 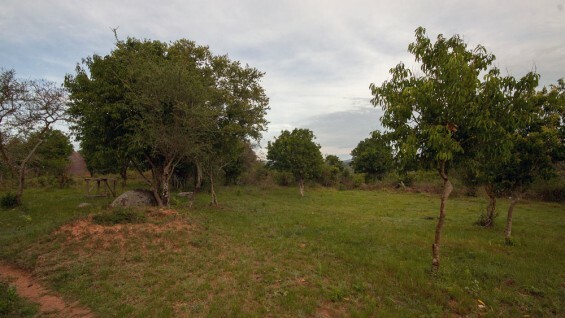 The campground is well marked, leveled and well drained. 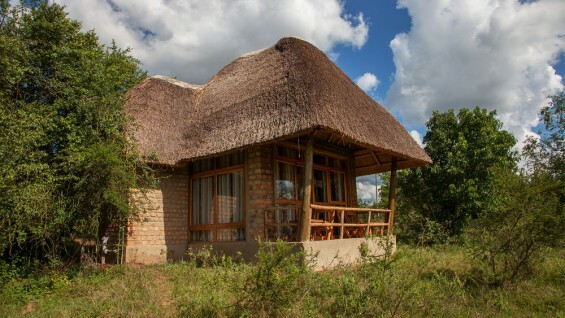 All cottages enjoy glass doors leading to a screened in porch and magnificent views of the national park. 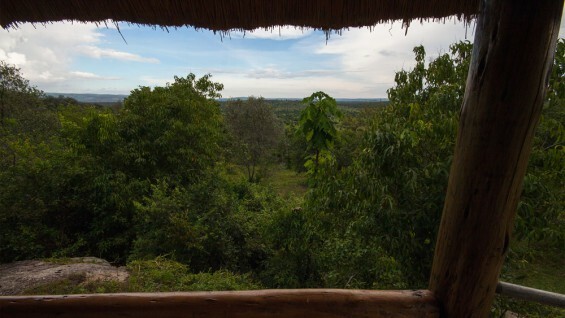 The cottages are very private, so for people willing it is possible to leave the curtains open and see the early morning sunrise. 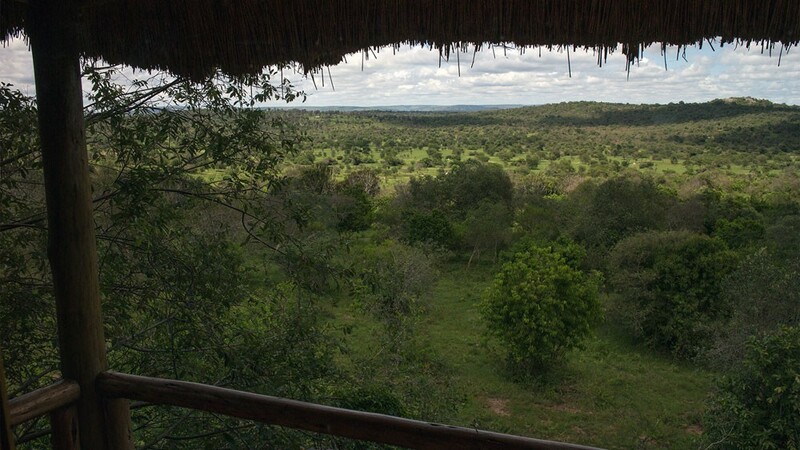 We accept the payment methods above for bookings. 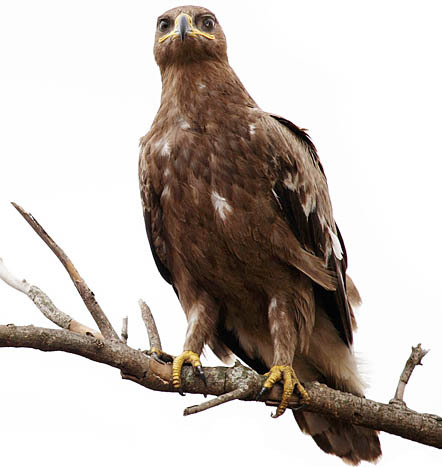 © All rights reserved by Green Lodges Uganda Ltd. This website (or parts of it including the photos) is copyrighted by Green Lodges Uganda Ltd.